Your dream of finding an ideal villa for sale in Moraira is about to come true! If you are thinking about buying a property in Spain, preparation is everything and should not be underestimated. Established in 2002 our business has a very different approach for the purchaser. Take a moment to see why! We cover the market, so you don’t have to! Each day our property portfolio is constantly updated with new properties that come on the market. We have the most extensive range of property for sale in the Moraira & Javea areas. 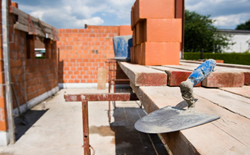 Our services also offer hard to find “Off List” property deals. Join our bargain property list, offering a handful of well selected quality properties representing excellent value, with further negotiations possible! Your search criteria can be auto saved and weekly updates automatically sent to you. (see Property Search facility on right hand panel). Bookmark this website and be the first to know! Provide feedback and improve this site to make your experience even better! Take a look at our property for sale in Moraira and property for sale in Javea or find out more about the area. Only fifty years ago Moraira was a small fishing village nestled on the coast between Calpe and Javea. Now, it’s a bustling town, which has kept its old Spanish charm alongside a new sophistication. 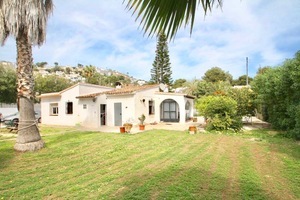 If you’re looking for property in Moraira you’ll find its backdrop of mountains, vineyards and pine woods irresistible. At the shore, the main beach is ideal for all age groups thanks to its gentle gradient, and El Portet, is a secluded sandy bay where you can eat and drink looking out across the ocean. Moraira also boasts a large yacht club with its own superb restaurant, as well as a tempting selection of other eateries, tapas bars and shops. And in the treetops over the beach are gorgeous Moraira villas with views stretching down to the luxury yachts and powerboats in the bay. Looking out across the sea from the northern part of the Costa Blanca is the town of Javea. The views from the lighthouse across the Mediterranean are truly unforgettable – on a clear day you can even see across to Ibiza! The tourist part – the Arenal – has a long promenade, buzzing with bars and restaurants, behind the sandy beach that gently slopes down to crystal clear waters. The Javea apartments here are well situated close to the beach. Further along the coast is the bustling port and marina area, and behind the port lies the old town, a maze of old streets around a church square. Here you’ll find traditional town houses and apartments and get the chance to soak in real Spanish culture in the tapas bars. Thank you for using this Spanish Property Sales website, we hope that you enjoy the experience. Please feel free to comment. We are always in search of excellence and your opinion will be appreciated. This website displays the largest selection of Moraira property for sale in Spain, updated daily directly from our network. 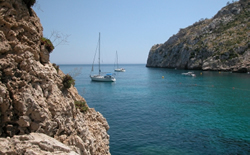 Each day our website is also updated with properties from Javea and surrounding areas. We simply have the best selection all under one roof! Read our testimonials and see how we differ. Spanish Property Sales are an independent well established business based in Moraira, working and collaborating with the leading estate agents in Javea and Moraira, mortgage brokers, developers, architects, banks, lawyers and established builders. We have reputable contacts for everything you will need to purchase a resale property. Alternatively you may wish to design and build from scratch on a choice of Moraira plots for sale. We can help you through the whole process with reputable builders. Since the start of the 2007 recession, property prices in Spain have dropped. 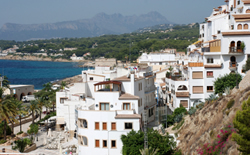 Javea and Moraira have seen a 20 – 30% reduction. Some areas have seen significantly higher price reductions due to the mass development of those affected areas. Consequently, we offer a range of properties for sale in Javea and surrounding areas that have been substantially reduced in price. There are also many apartments for sale in Javea at reduced prices and many of these can make a good investment. Since the price reductions a number of speculators have been buying investment properties in Javea because of the letting potential throughout the summer and the longer term capital growth prospect. If you compare the returns against keeping money in the bank there is no comparison. Many families that historically could never afford some of the property for sale recognise the price reductions, more so in the euro zone countries and they are seeking out the bargain properties for sale. Many of you will be familiar with the buying process for Moraira property but for those that are not, we have a buying guide on this website to help you. Should you require a mortgage or other form of finance to purchase a Moraira villa or other type of property, we specialise in raising funds for our many clients. 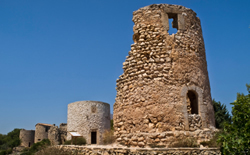 We can also advise regarding the purchase of a Costa Blanca property through a private company for tax savings. Why not have a look at our properties for sale in Moraira and Javea now? It makes sense to use us to find exactly what you want – and you’ll save money and hassle in the process.